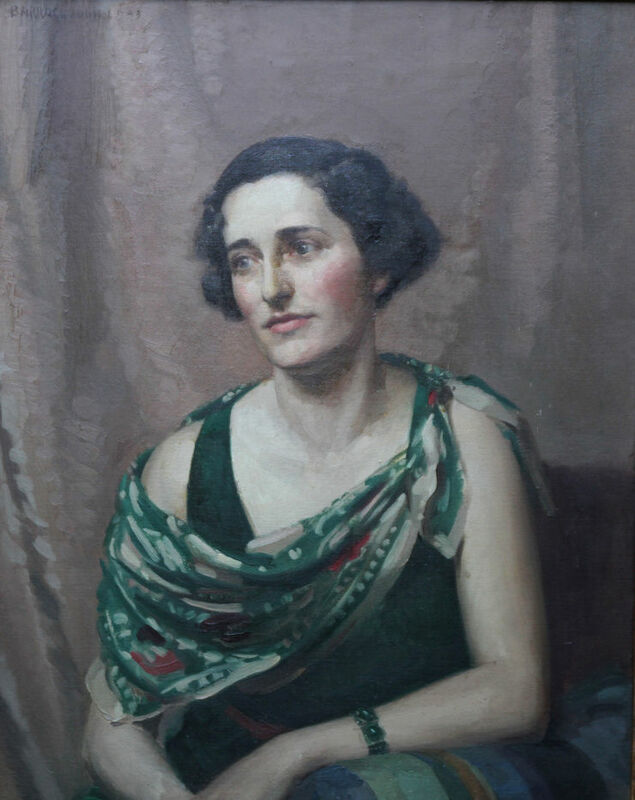 A large and stunning Art Deco oil on canvas portrait in gallery condition which depicts a lady in a green art deco dress. 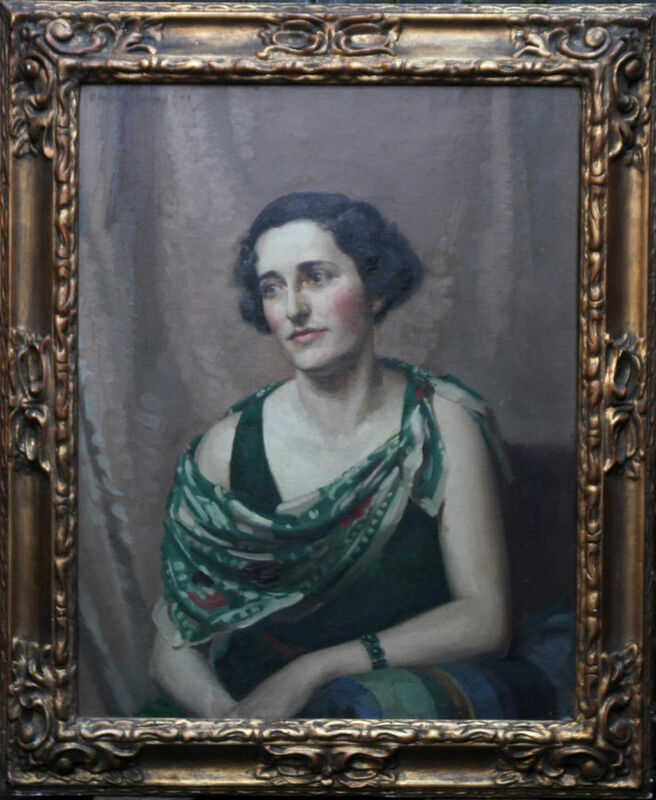 Painted in 1933 it is a fine evocative thirties portrait painting by British listed artist James Penniston Barraclough. The sitter is Pamela Abercromby who was the wife of Major RA Abercromby, later Sir Robert Abercromby Bt. A stunning portrait. A fine example of early 20th century portraiture. Gallery frame 40 inches by 35 inches. Excellent gilt frame. James Penniston Barraclough (1890-1942). Painter of portraits in oils. He lived and worked in London and exhibited mainly at the Walker Art Gallery, RA, RP and ROI, becoming a member of the latter in 1922.